Music is a big part of my life. Always has been, always will be. Lucky for me that the same can be said for the hubbs: he loves and appreciates a wide range of music and we’ve introduced each other to our favorites. 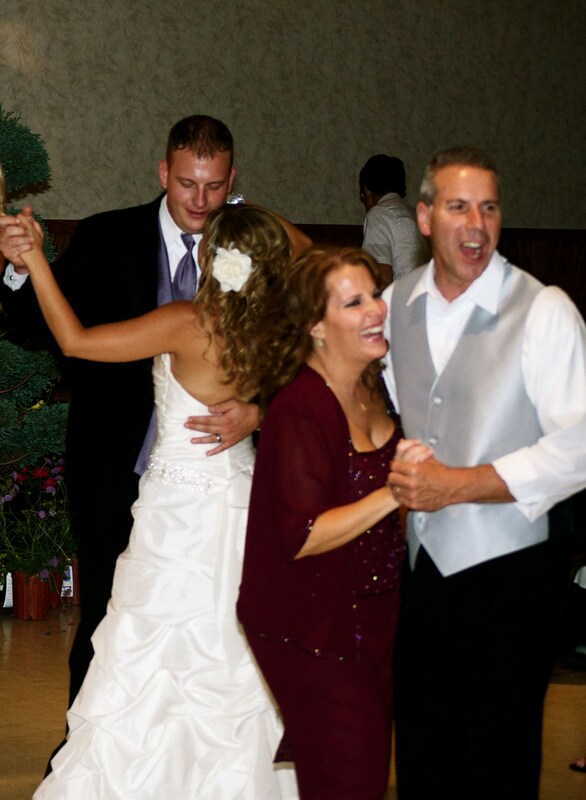 And, of course, the song he chose for us to dance to at our wedding…Something in the way she moves .. James Taylor. (He chose it and that’s enough for me). Everyone has that song they love: what’s yours? P.S. 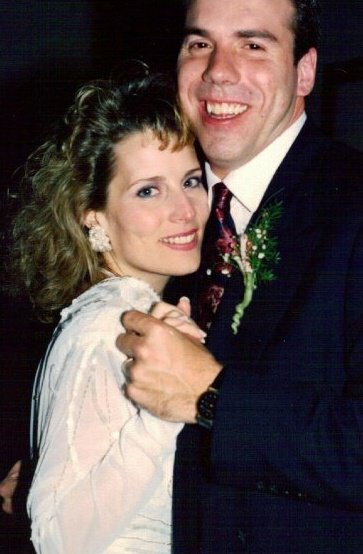 – Hubbs and I have known each other 20 years & today’s our 19 year wedding anniversary. Happy Anniversary sweetie! Happy Anniversary! What a sweet post…always good to share music tastes! My husband and I love classic rock, the old standards (anything by Frank, Bing, Dean, etc) and newer musicians like Jack Johnson. We love to have music at dinner, with candles, even if it’s just a regular day, ordinary meal…makes it special. Sounds like you know how to mark the moment! Thanks for sharing the wedding photos! I think ours is “Why Can’t I Breathe?” (whenever I think about you) — we discovered love late in life and it was such a revelation. Happy Anniversary! May God bless you with many more. Enjoy all genres of music. Country gospel and vintage ’50’s is favorite. Love your blogs. Aw, look how beautiful you guys are! Happy Anniversary. Loved the music. Congratulations on your anniversary. My hubs and I – prior to becoming engaged – walked through the museum of Country music in Nashville and heard this by Webb Pierece (Slowly). It is a moment I won’t forget. I don’t know if the link will work. In any case, happy anniversary! I’m the singer and music fanatic in this marriage. (Not that I sing well… at all. I just love to.) And sadly, we don’t have a song. I hate his music and he hates mine. At our wedding, my Wife and I danced to Alan Jackson’s “Red on a Rose.” It is still our song. I just wanted to let you know that I really like your thoughts; especially this one. It’s nice to hear a woman’s perspective. Thanks again. Happy Belated…just got to this. I always enjoy your posts. They make me think.